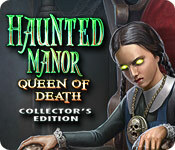 Haunted Manor: Queen of Death Collector's Edition is rated 4.4 out of 5 by 137. Rated 5 out of 5 by NWojtanowski from One of my all-time favorites...unfortunately I thoroughly enjoyed this game on many of occasions. I have owned it for years and have played it many times. The music is great, eerie but not overly annoying and the storyline, to me, was very interesting. The only issue I have now run into, is that I can no longer play the game unless I were to get a magnifying glass of some sort. From what I can gather, the resolution on my more modern laptop, will not allow the game to open completely to a full screen. It takes up about a fourth of the screen so there was no hope to even attempting to play because I could not see the items/lists in the game. Rated 5 out of 5 by alphafem from Quite A Game!! This is a stellar game for ones who love detail, beauty, and a challenge! This gem was made in 2011, but I didn't find it until 2018, thanks due to a reviewer who listed it as "Current Favorite" over to the left. Even by today's standards, it is incredible. If your're not up to a real Challenge level, don't even bother with the demo...let alone slamming the entire rating because the Challenge level is more than you comfortable with. For you HOP Masters...these are incredibly well done. You will be pleased. The mini-games are in a range of difficulty, something for everyone, and you can skip depending on your patience level at the time. The art work..the attention to detail..is FABULOUS! Very impressive! There is NO map, but the Storyline and locations had a flow such that one was not really needed..much. It's all good..added to the challenge. The only benefit to the CE was the Bonus Chapter and the SG. No morphing objects, collectibles, achievements, blah, blah, blah. The Bonus Chapter was great, but not needed to complete a totally enjoyable game. The SE would also be awesome. 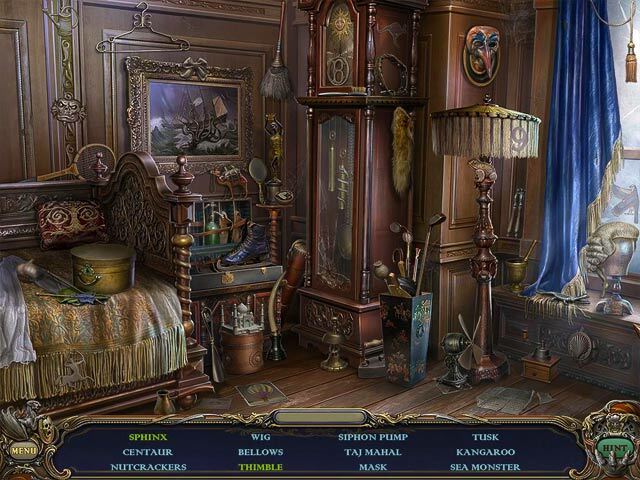 After this gem of a find, I also played the next one, Haunted Manor: Painted Beauties. (2014) Changes to technique were made...some positive...some not. Both are worth your preview. Enjoy your time! You OWN that! Peace. Rated 5 out of 5 by smoovasbutter from What a haunted house game is supposed to be like This game is made by a small studio called Top Evidence. You can tell that the game was made on a modest budget. There aren't even any voiceovers, which is cool with me because most HOG voiceovers tend to be terrible anyway. Well drawn gothic style graphics, a very rich soundtrack(mostly taken from public domain sources) and a good story and simple gameplay make for an entertaining game. Rated 5 out of 5 by moondancer422 from Fun Game, Great Music The game was lots of fun and quite enjoyable. Not too hard/not too easy and pretty spooky, but the reason I'm writing my first review is the music. During the HOS they have one of the most perfect pieces of music ever in a game like this...it's beautiful...so serene...and absolutely creepy! Rated 5 out of 5 by marlena362438 from Good old horror game! This game was truly excellent in every way. My only grip was I thought there were too many HOS's. But that is far too minor no big deal. Just get this game if you like a good horror game. By the way the music was especially outstanding!! Rated 5 out of 5 by ChristinaX9 from Excellent Creepy Period Tale It has been such a pleasure to do this game. It is long and it has a great creepy storyline which accompanies the wonderful graphics and gameplay. As for the music, it is excellent, I found Mozart's requiem so delightful to listen to. There is a great variety of HO and puzzles most ranging from easy to medium hardness, with the odd harder one once in a while. The storyline is adoringly creepy as you arrive at your family mansion to try and save your sister after your parents were mysteriously murdered. There were no voiceovers or journal but that was ok, I would have liked to have seen an epert play mode though, to make it a little more difficult. However, the game is not easy by any means and it does offer a reasonably good challenge, although sparkles do appear. It is definitely worth the CE version with an extra chapter and other goodies like downloading music, sketches etc. I would definitely reccommend this, and would love to see more games like it. Rated 5 out of 5 by Maluna69 from Excellent and Dark This one of the first games I have played on BFG and was hooked from the beginning. The storyline is dark and very interesting that makes you want to know what happens next. The music has an eerie feel to it that I love and great visuals. No voice overs though but don't mind it too much. The SE gives a slight cliffhanger ending but CE wraps it up with a bonus chapter that finishes the story nicely. This is the second in the series of the Haunted Manor games, the first being Lord of mirrors but this one is by far the best. If you like a good storyline with horror and mystery this is the game for you. Rated 5 out of 5 by beckykay from so glad I demoed this game! I almost missed this gem of a game - I read reviews that it had loads of annoying sparkles and so decided to pass it up when it was initially released. I needed some entertainment in these dark days of January, so decided to give it try when it went on sale yesterday. I am so happy I did. This is an excellent game - the graphics are superb, some of the best I've seen. A whole lot of thought went into this game - it's clever and the puzzles are not run-of-the mill either. 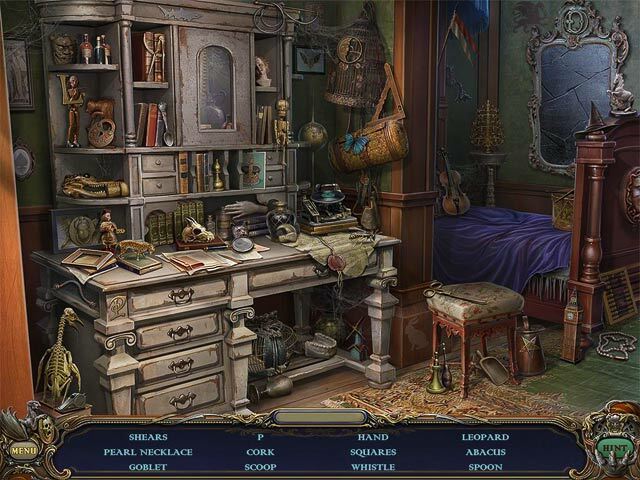 The hidden object scenes do have some sparkles, but after you click on them, they go away. I'm not sure why that was a problem for a lot of people, and I urge you to overlook that because you're missing out on a great game. A map would have been nice, but not a big deal because the quality of this game is so excellent - it is at the top of my current list of favorite games. I highly recommend this game, and send out a ginormous THANK YOU to the developers, as this one is very very well done. A true GEM of a game, which for me is rare! Rated 5 out of 5 by virtualadventure from Ooooh Scary! Something spooky is going on deep inside the haunted manor! This game is a good length and involves tons of exploration into creepy places. I loved this adventure! Lots of interesting puzzles and not too many HO scenes. Watch out for creatures hiding in dark corners! I LOVED IT! Rated 5 out of 5 by dollbuggy from great good fun visually gorgeous. 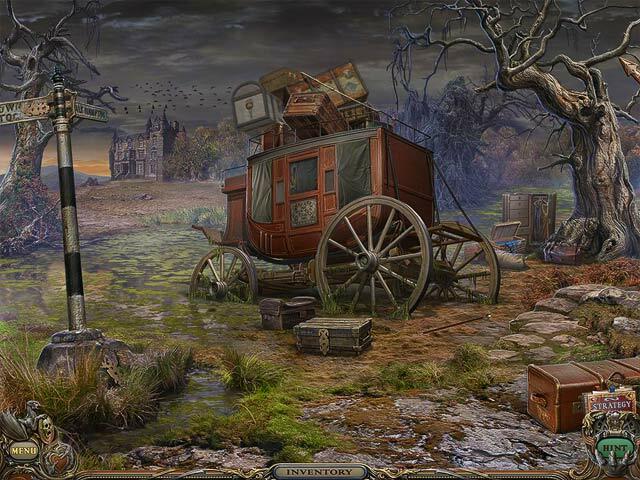 intricate hidden objects. nicely long. more, more, more from top evidence studio.